Mega famous Drive suppliers at this stage to provide maximum free storage space, higher than 7GB Microsoft SkyDrive, Google Drive 5GB, and Dropbox’s 2GB. On the line less than 1 hour has attracted 10 million registered users, less than three hours, 250,000, which may also be the fastest growing network in the history of new companies. The well-known file-sharing site MegaUpload founder Kim Dotcom Sunday (1/20) published another known as a completely legitimate Drive Mega, on line one hour, attracted more than 100,000 registered users. MegaUpload in 2012, economic rights violations have been closed Dotcom also get arrested, but after a year of precipitation, Dotcom launched a new Mega Drive service, claiming that the new cloud storage service is more powerful and more safety. Dropbox’s addition of a quick-sharing link makes it super simple to share a single file or folder with another person without the hassle of setting up a formal share. 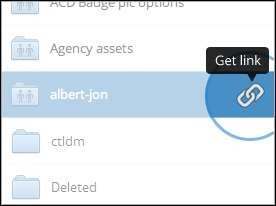 We’re super excited to announce a whole new way to share: now you can send a link to the files or folders in your Dropbox! Sharing with friends and family is easy! Once you’ve saved that video of your niece’s birthday party to Dropbox, just make a link to send to grandma and she can simply watch online — no download required! This saves you the hassle of having to re-upload or attach it to an email. Anyone with the link gets access to a snazzy page where they can view (but not edit) your stuff. Our gallery pages give your photos, videos, and even docs the gorgeous, full-browser view they deserve. This means that people who follow your link can see pictures, look at presentations, and watch home videos without having to download and open them separately. But just in case a friend wants to save that picture or PDF for later, they can choose to either download it or save it straight to their Dropbox. The quick link function works from the Dropbox.com web interface, the mobile interface, and from your desktop if you have Dropbox installed. The new feature is current rolling out to new users; if you don’t see it immediately expect to see it in the next few days.